Do you or someone you know have a service dog? What do you think of this sweet photo? ‘Mission complete’: George H. W. Bush’s service dog Sully keeps vigil by his master’s coffin. Photos of former President George H.W. 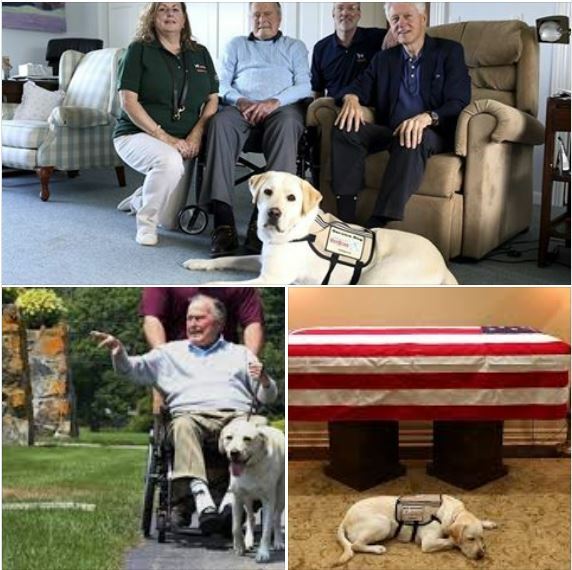 Bush welcomed a new family member as he shared a photo of his new service dog, Sully.